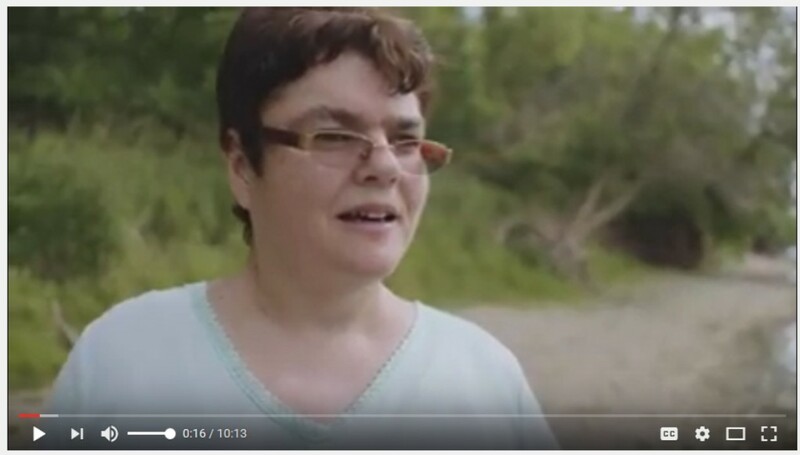 Watch this short film where we meet three LifeShare families living in Ontario and hear their stories. Like so many LifeShare participants, these families have created a unique bond between the home sharer and home provider. Through LifeShare, families and individuals across Ontario are “home providers” who offer a safe and nurturing environment for adults with developmental disabilities (“home sharers”). 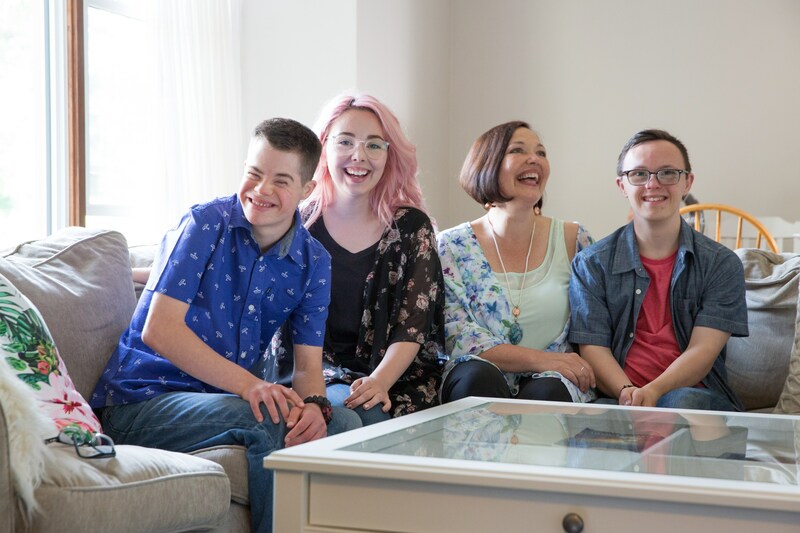 Lucas is a 21-year-old with Down Syndrome and a heart condition, who lives with Barbara, her daughter Alayna and her son Nathan. Before arriving at Barbara’s house, Lucas lived with his natural family and continues to see them regularly. Since moving in with Barbara and her family, Lucas’ natural enthusiasm for life and love of people has flourished. Lucas and Nathan have formed a brotherly bond and like to deepen their connection at the local coffee shop. Lucas recently graduated from high school and proudly received the Citizenship Award for community service. Now that he’s graduated, he’s focusing on getting a part-time job, assists with coaching a local track and field team and hanging out with friends. Karen is 54 and has lived with Dave and Leanne since 2014 and couldn’t imagine living anywhere else. 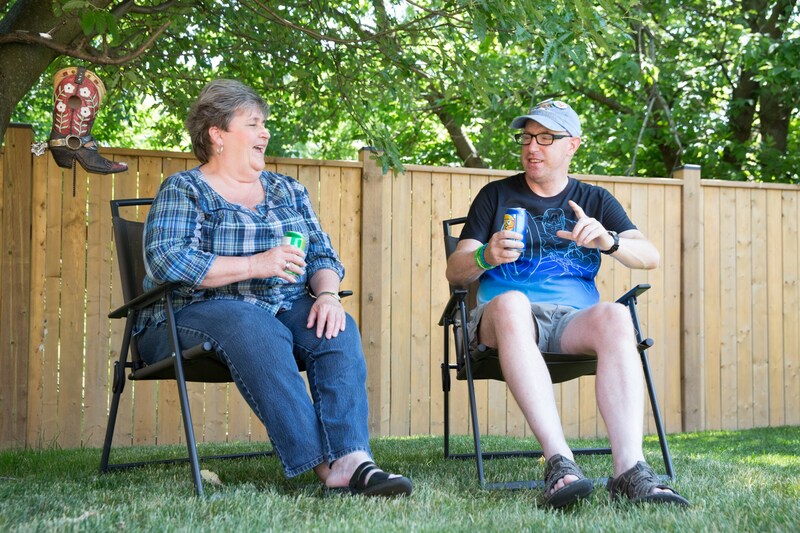 Before moving in with Dave and Leanne, Karen lived in a group home with several housemates. She told her developmental services agency that she wanted to live with a family that shared her common interests and values. Living with Dave and Leanne has brought music into Karen’s life. Dave is an accomplished guitarist, and he and Karen will often play blues and rock music together, putting on a great show for Leanne. The trio also go out to community pubs to enjoy live music with friends. Leanne works full time at a local service agency and Karen is part of an employment collaborative that prepares and packages meals for seniors. The ladies enjoy singing on their morning commute to work. All of this has helped Karen come out of her shell and feel much more comfortable in her skin. People closest to her have noticed a real change in her. Together, they are looking forward to a road trip to Florida, the beach, and a visit to Disney World. Jacob is 21 years old and experiences autism. Growing up, he lived with his foster family and his natural mother, who continues to be an important part of his life. Two years ago, ready for the next step in his life, he joined LifeShare and was matched with Erica and Scott, a young couple in their 20s with no children. Scott manages quality control for a hydraulics company. Erica, who is part Ojibway, shares her culture and traditions with Jacob through drumming and smudging ceremonies which he finds soothing. As a trio, they like to go bass fishing, RV’ing (across and out of province) and enjoy dancing at concerts; anything from folk to rap to rock. All three are also quite active in their community, participating in the stream clean up with the Ontario Steelheaders, and Grand River Clean Up. They love animals, and have a Great Dane, a cat, and a Vietnamese potbellied pig, who are important members of the family. Jacob loves school and is looking forward to graduating from high school. He hopes to get a job, ideally something that involves animals, fishing, or music, and dreams of travelling within Canada and beyond. Erica and Scott have seen a tremendous change in Jacob. After growing up with his mom, Brent, 42, lived on his own in an apartment but sometimes found it a bit lonely and isolating. He now lives with Kathy who is an experienced home provider. Brent is her fourth home sharer in 20 years. As an active leader in her community, Kathy volunteers at a homeless shelter, helps women who are incarcerated, and works with other community agencies. 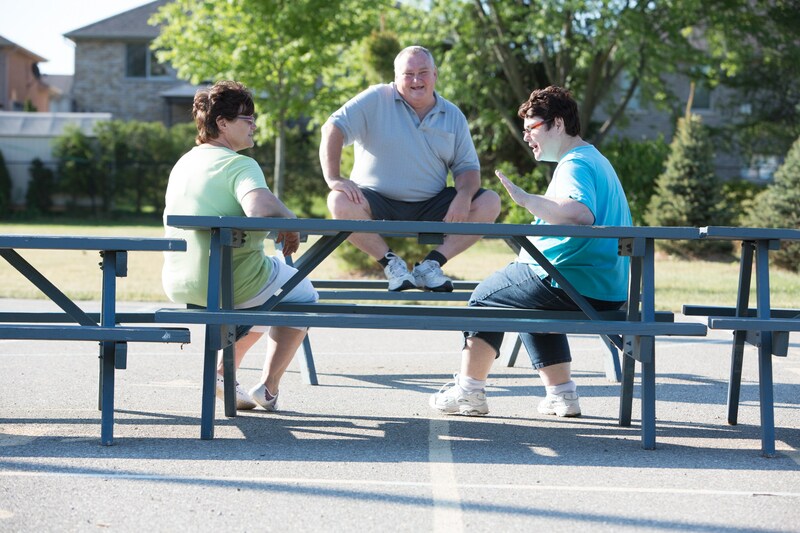 With Kathy, Brent can remain independent while enjoying a sense of belonging and a genuine friendship. Together, they like to play bingo at the local lodge and spend quality time with Kathy’s adult children who, with Kathy and Brent, make up a close-knit family. Brent also does many activities on his own, socializing with friends, riding his bicycle to visit his mom, taking karate lessons, and going fishing with his brother, Randy. He is currently exploring potential courses to expand his skills with the goal of finding employment within the hospitality industry. If you’d like more information about sharing your life with someone, contact Stephanie Moss by email smoss@cluov.ca or call 613-735-0659.